When you live in SC, there’s a good chance that you’ll see a bat at some point. If they’re outdoors, they’re usually not much of a threat to you. 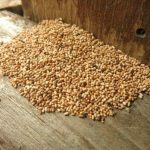 In fact, they do a lot of good when it comes to reducing insect pest populations. However, you don’t want bats taking up residence in your home, or you’ll need to get help from SC pest control experts. Find out more about several bat species that are found in our state. Northern long-eared bats have a wingspan that can measure more than 10 inches long. These bats, which have a yellowish-brown coloring with rounded ears, tend to fly around forested areas. When they hibernate, they usually do so in caves. Northern long-eared bats can live more than 18 years in the wild. Their diet includes flies, moths and other smaller insects. Northern yellow bats are among the larger bat species that SC pest control experts deal with. Their wingspan measures between 14 and 16 inches in length when they’re fully grown. They have fur that can range in color from a grayish-brown to yellowish-brown. These solitary bats prefer roosting in dead palm fronds and Spanish moss, but you can also find them in pine forests. Northern yellow bats fly around at dusk in search of mosquitoes and other bugs to feed on. These bats have wingspans that measure between 10 and 12 inches long as adults. They have grayish-brown fur and large ears that they can curl back. Rafinesque’s big-eared bats are known for roosting in sheltered places, including caves, barns and houses. They live to be an average of 10 years old in the wild and spend their time looking for moths to eat. Their diet also includes beetles, ants, cicadas, flies and other bugs. Silver-haired bats mainly stay in forested areas that are near streams, ponds and other bodies of water rather than near man-made structures. These bats have a wingspan that ranges from 10 to 12 inches when they’re adults. They get their name from the silver tips on their black fur. Silver-haired bats have snouts that are slightly upturned and rounded ears. In the wild, their lifespan ranges from 5 to 10 years. They have a varied insect diet that includes moths, caddisflies, termites and spiders. 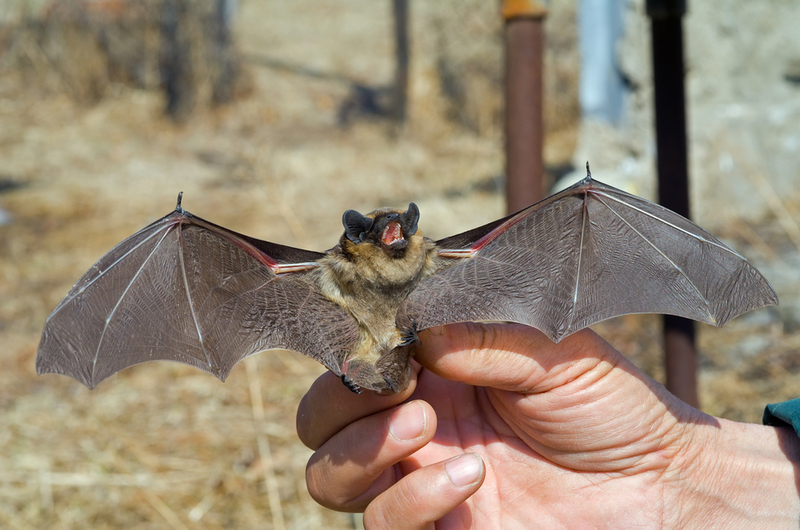 Southeastern bats typically live in caves, although SC pest control experts have had to deal with them inside barns, attics and other man-made structures at times. These bats have a wingspan that measures between 9 and 11 inches as adults. They have thick, dark fur with whitish tips and pink noses. Southeastern bats live to be between 4 and 8 years old on average in the wild. Their diet includes mosquitoes, smaller moth species, small beetles and midges. Seminole bats are medium-sized bats that have a wingspan of around 12 inches when they are fully grown. They have reddish-brown or mahogany fur with white at the tips. These bats are solitary ones that commonly live in forested areas. They come out in the early evening when it’s warm enough and feed on beetles, ants, bees, flies and other insects. Tricolored bats are mainly found in areas of open woods close to water rather than in fields or heavily forested areas. These small bats have a wingspan that ranges from 8 to 9 inches in length. They have yellowish-brown fur that is dark at the base, lighter in the middle and dark at the tip. These bats, which live between 4 and 8 years in the wild, feed on a wide range of insects. Are bats living in your home? 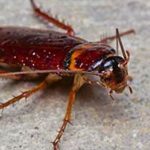 Contact Island Pest Control, and our technicians can get them out of there for you. 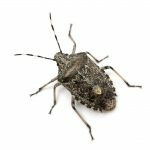 We offer safe SC pest control, which includes bat removal.